Are you committed to success? Are you committed to making a positive contribution to society? We are. We’ve positioned ourselves for dynamic growth in the energy, telecommunications, environmental, and natural resource markets – and we’re ready to partner with investors and entrepreneurs who share our commitment to success. 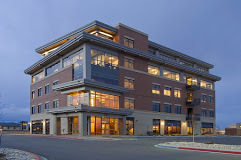 Teaming with Poudre Valley Capital is an exceptional opportunity for entrepreneurs and investors who have the initiative and focus to begin a successful, profitable relationship. Share your vision and we’ll share ours. From here, the possibilities are limitless.